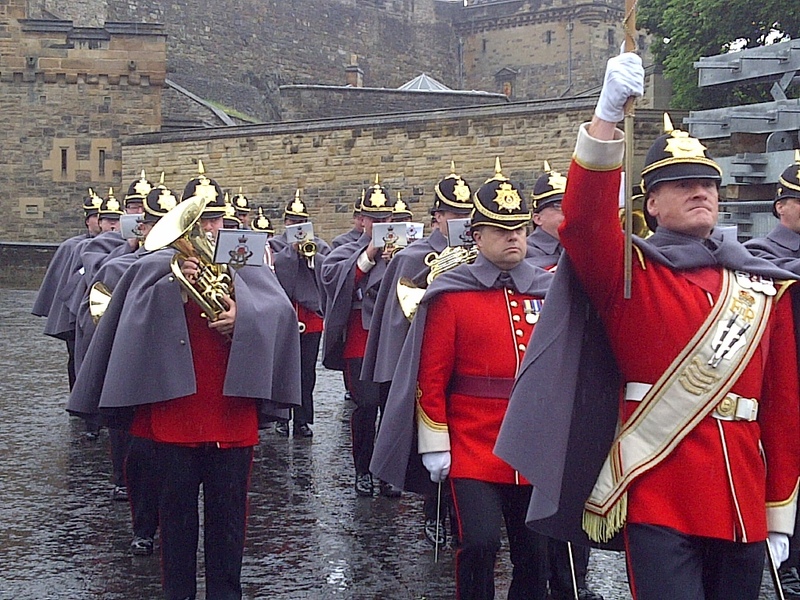 The Royal Scots Band during the Changing of the Guards Ceremony at the Castle. Edinburgh, Scotland. June 12, 2013. On the ENGLAND, SCOTLAND & WALES tour.